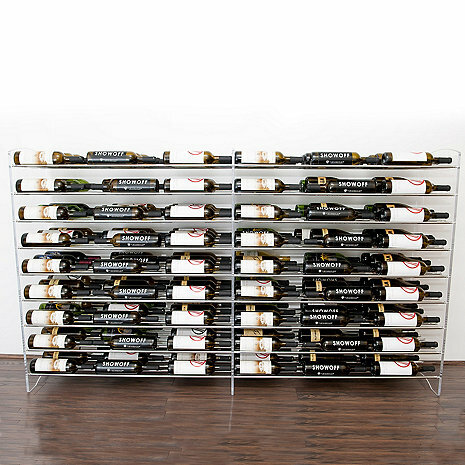 Please note that this is an extension, not a complete wine rack system and can only be used in conjunction with the 81 bottle Evolution Wine Rack. Our 81 bottle, triple-deep wine rack extension system is designed for use with our Evolution wine racking system and increases bottle storage capacity. Evolution wine racks feature an all-new label-forward design that displays bottles with the label in full view. Each wine rack is modular to fit almost any configuration.